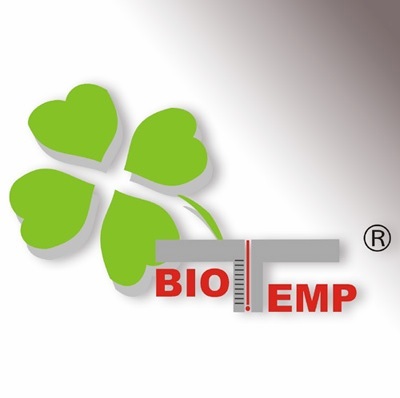 A full line of ecological precision thermometers to preserve our environment. 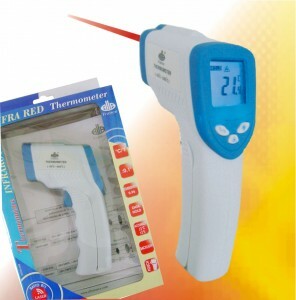 Mercury free thermometers. A lucky four leaved clover identifies the range. 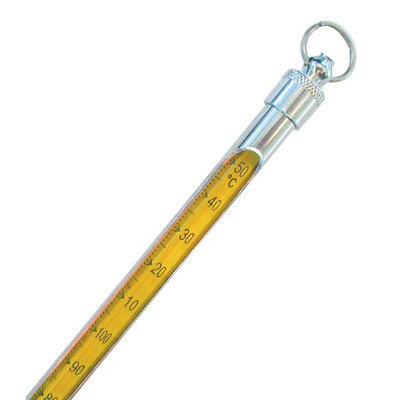 Yellow back glass thermometers, giving a much better reading than the white back, diameter 6 – 7 mm. With a safe blue organic filling liquid. In case of breakage the residue after decomposition becomes H2O + CO2. The blue graduation is printed and fused in the glass with a special process. 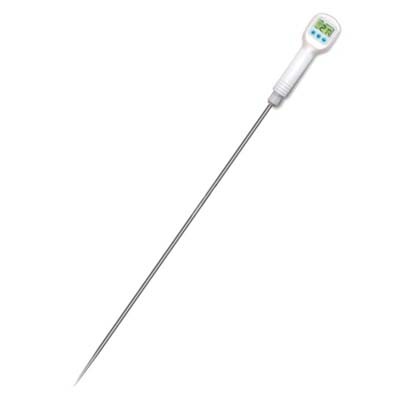 Even if you can feel a relief when touching the graduation, the thermometer is not engraved. We try to print the scale as dark as possible and feature an arrow printed every 10°C making the temperature much easier to read. Available in partial or total immersion. For the partial immersion, a line printed around the thermometer with a clear mention: “Imm. 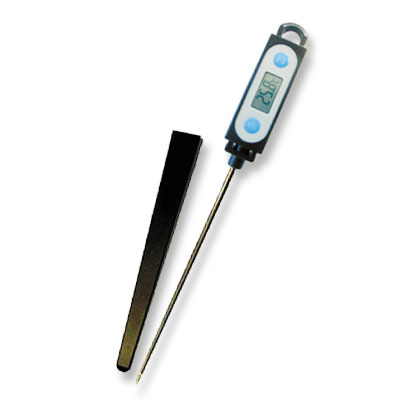 76mm” enables the user to immerse the thermometer to the correct depth. 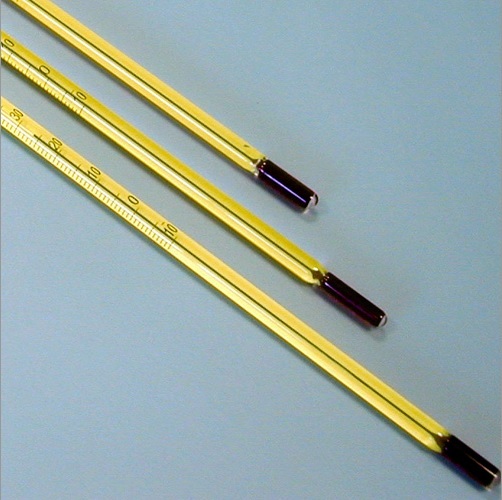 A strong triangular ring is moulded at the top of the thermometer avoiding the thermometer to roll on an inclined lab table. Individually packed in recyclable sturdy plastic concertina box’s, ideal for storing the instrument when not in use. 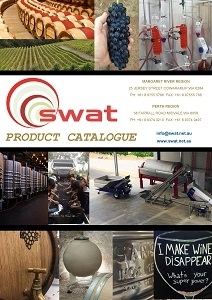 Systematically delivered with a Precision and Traceability Certificate. Internal Ø 6/7 mm – 305 mm. 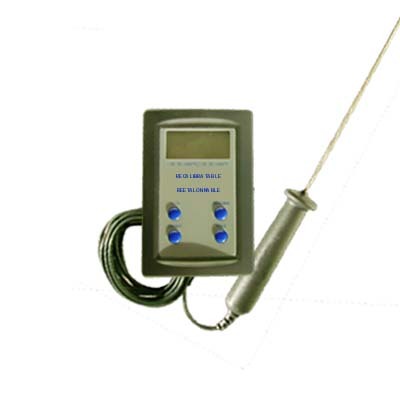 Alla France DIGITAL THERMOMETER WITH FIXED LONG PROBE – WATER RESISTANT: IP65.